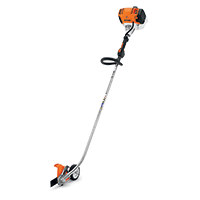 Powered by a low-emission engine and 710 cc fuel tank, Stihl’s latest line of Stihl edgers are designed to run 30 percent longer than predecessors. Highlights include a curved flex shaft for durability, a mud flap-style debris deflector to minimize clogging, the IntelliCarb compensating carburetor to maintain RPM if the air filter clogs and an adjustable depth wheel for precision. Multifunction control handles and a simplified three-step start procedure make the machine easier to use, the company says. 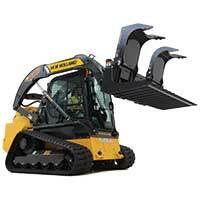 New Holland launched a low-profile undercarriage design on its 200-series Compact Track loaders. Highlights of the update include track frame upgrades to models C227, C232 and C238 that hold up better under New Holland’s strain testing. The improved yoke-to-frame engagement will produce less noise and result in improved track alignment and easier clean out, the company says. 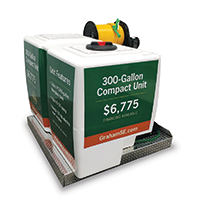 Graham Spray Equipment’s compact 600-gallon spray rig and 300-gallon compact unit is designed for businesses that don’t need the capacity and features of Graham’s full-scale units, the company says. The 600-gallon spray rig, including the spray equipment and Isuzu truck, retails for $49,900. The 300-gallon compact unit, which fits a three-quarter ton pickup truck and includes wheel-well cutouts, retails for $6,775.